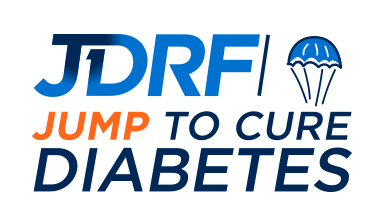 eWiz is a supporter of the community various charities and its charity of choice is the Juvenile Diabetes Research Foundation (JDRF). eWiz supports JDRF every year in the JDRF Walk for a Cure and JDRF Jump for a Cure. If you are unaware, Type 1 Diabetes is the number one chronic disease. Here are some the statistics that may surprise you given that most of what is heard about diabetes actually relates to type 2 diabetes which is a different affliction. We look forward to your support of JDRF as well. On average there are 6 children every day diagnosed in Australia with Juvenile (Type 1) Diabetes and the number is increasing. There are over 122,300 children and adults in Australia and millions worldwide who survive each day with Type 1 Diabetes. Type 1 Diabetes is not a lifestyle disease. It is an autoimmune disease with no known cause or cure as yet. On Sundays throughout each year, JDRF will hold Walks and Jumps for a Cure across Australia including Brisbane at Chermside where we’ll be walking for a cure again this year. Your support will be appreciated if you want to either help us to fundraise or make a donation. About 40,000 people usually walk all across Australia so come along and help the tens of thousands of kids and adults with Type 1 Diabetes. We can show the world why a cure is so important.